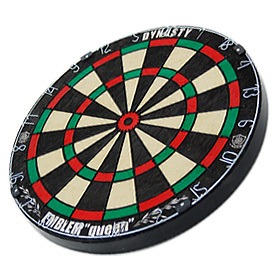 This 15.5 inch board is made from exceptionally high quality hemp bristles that are both durable and easy to penetrate. 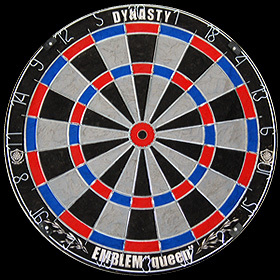 It is made with the same material as the JSFD officially endorsed EMBLEM KING. 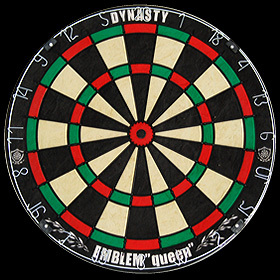 Unlike the standard bristle board, Queen Type-S features dimensions of soft-tip boards, featuring larger triples and doubles. 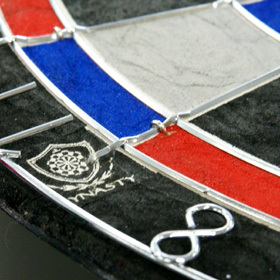 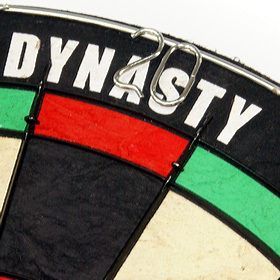 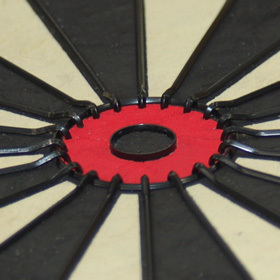 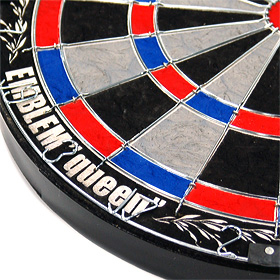 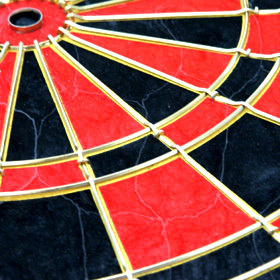 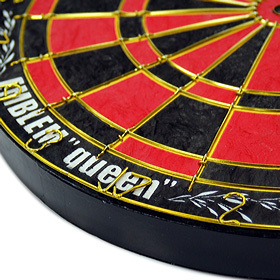 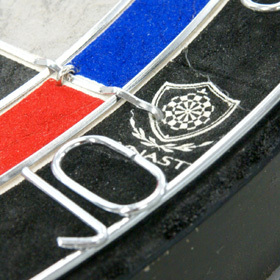 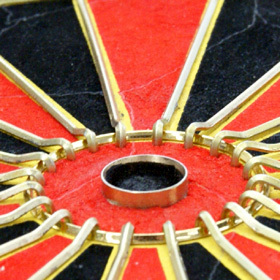 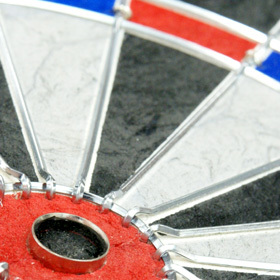 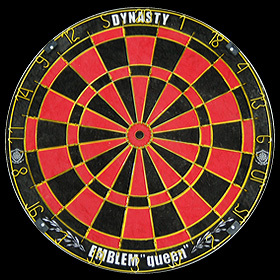 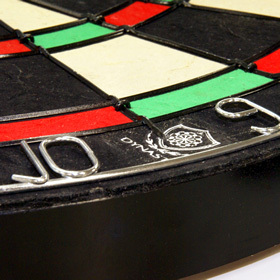 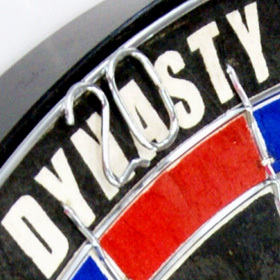 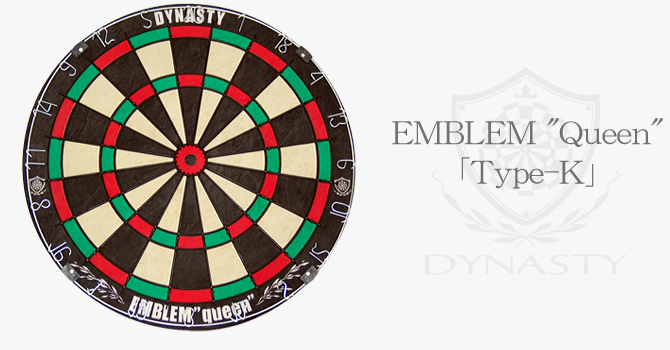 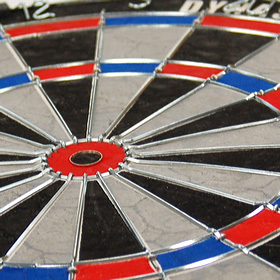 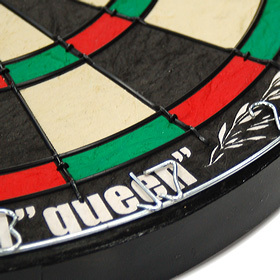 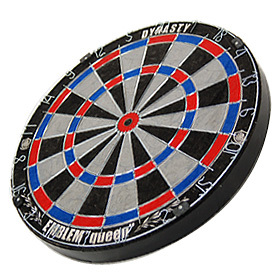 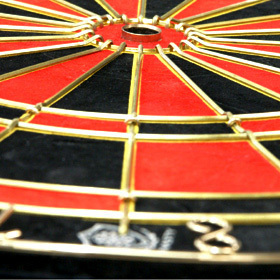 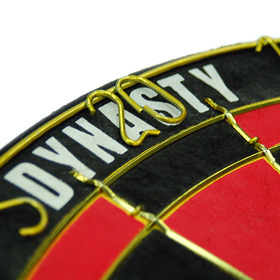 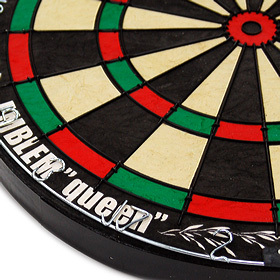 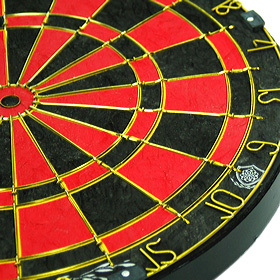 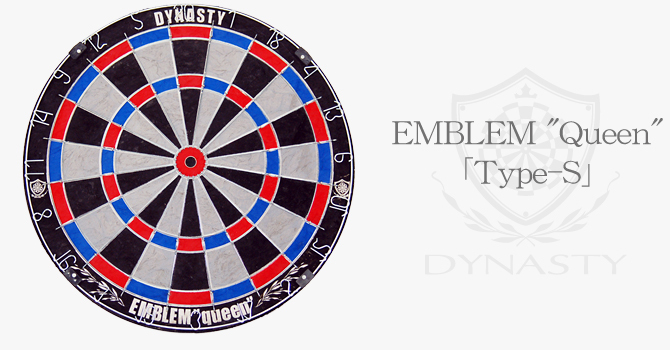 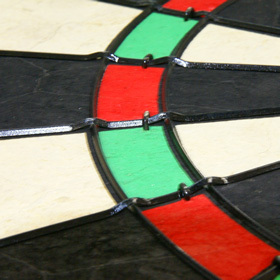 This makes Queen Type-S an excellent practice bristle board for soft-tip tournament players, as well as an excellent board for beginners to learn how to play darts. 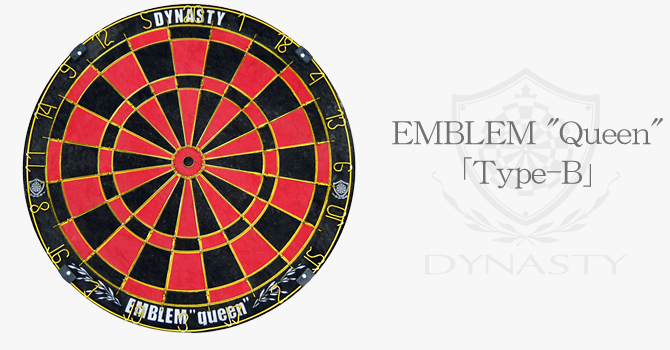 EMBLEM Queen's wires are angled in a "V" shape so that bounce-outs are nearly impossible.